Wink is set to make their new smart home security system available to consumers priced at $199 for the Wink Lookout bundle, which includes three motion sensors, two of which mount on doors or windows and a third for ground-level monitoring and can be adjusted for pets. 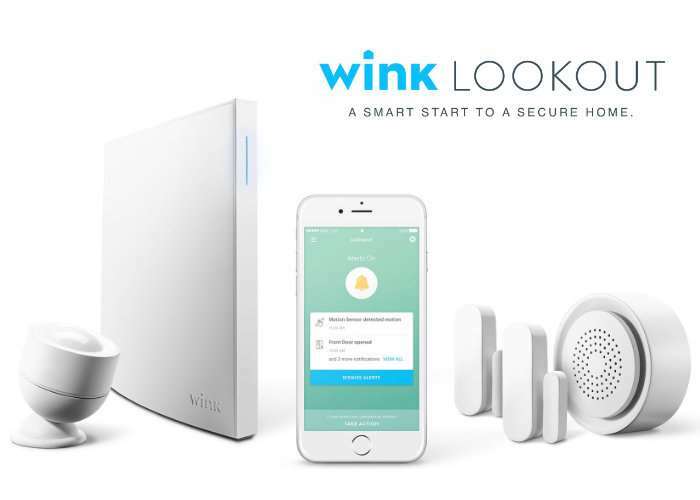 The Wink Lookout will be available to purchase from October 31 onwards from online retailers such as Amazon and The Home Depot, with individual sensors available price from $30, the siren and chime for $40 and ground motion sensor for $40. – Setting up Lookout is as simple as unboxing and powering on your sensors. – Receive instant alerts when motion is detected and when doors or windows are opened. View recent and previous activity. – Sound your Wink siren, dial 911, or call a contact when there is unexpected activity. – Get alerts when there is unexpected motion in your home while you’re away on vacation. Instantly sound the siren or tap to contact authorities. – When you’re at work, get notified when your kids come home from school and enter the house, and easily contact them to check in. – Get notified when the dog walker enters and exits your house, so you know exactly what time your pet was given attention. – Lookout supports even more sensors, garage doors, and cameras to monitor home deliveries and more when you’re away. Wink Lookout combines our free, in-app service with state-of-the-art sensors to monitor your home’s activity. Lookout sends timely alerts about doors, windows, locks, garage doors, and more, giving you control over your home so you can quickly decide how to respond should something unexpected occur.